Tsaregorodtsevite is a member of the sodalite group, unique in its organic content. Tsaregorodtsevite is the first mineral discovered containing tetramethyl amine [N(CH3)4]1+ (Pautov et al. 1993). 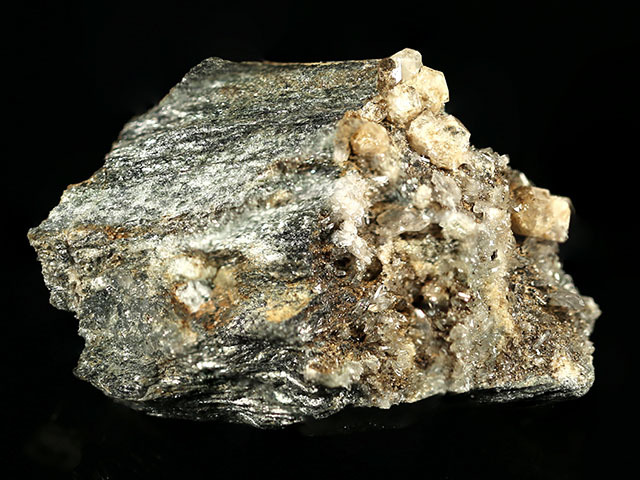 The mineral name honors discoverer Sergei Vasil'evich Tsaregorodtsev (1953-1986), Yekaterinberg, Russia, mineral collector extraordanaire specializing in the Urals. 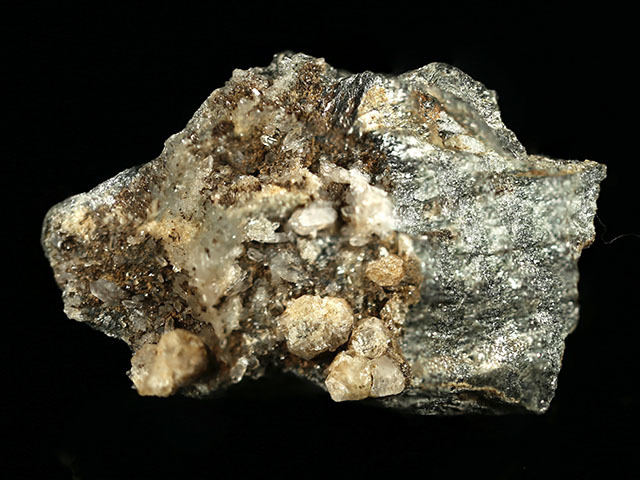 This specimen consists of a schist matrix hosting tsaregorodtsevite crystals to 6 mm. The mineral forms equant crystals, specifically rhombic dodecahedra with cubic modifications. Some tsaregorodstevite crystals here are incomplete, but the two largest crystals are fully formed. Minor quartz is also present. 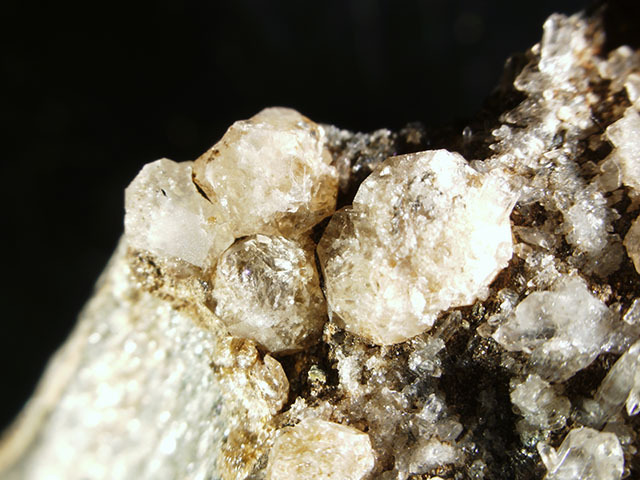 Tsaregorodtsevite occurs in joints, often without enough space to fully develop. These are rather large crystals for the species. A choice rarity! This specimen was part of the personal collection of Ralph Merrill, proprietor of the prolific mail order business Minerals Unlimited. Merrill's collection card and label ship with the specimen.